Dry skin is not a fatal problem; nevertheless, it can affect adversely your appearance and even lead to itchiness which makes you irritated most of the time. There is a wide range of elements that might cause you to suffer from dry skin. The most common one is the cold weather and low humidity, which explains why the number of people whose skin is dry in winter is high. Besides, dryness in skin will happen when your skin is exposed to the sun for a long period of time. Another cause is the excessive use of cosmetics or soaps. And nutritional deficiency is also responsible for dry skin. In fact, dry skin is not a complicated problem and you can easily get rid of it with natural ingredients around you. They are inexpensive and very safe for your skin condition and health in general. Below are top 10 simple tips on how to get rid of dry skin. Undeniably, as dry skin is caused by the low temperature and humidity, it is important to supply dry skin with moisture. And drinking enough water is the best way to ensure that your body and skin are provided with moisture from the inside, which makes water become one of the best tips on how to get rid of dry skin. You are advised to consume over 2 liters of water on a daily basis to prevent the skin from getting dehydrated and thus, avoid skin problems. 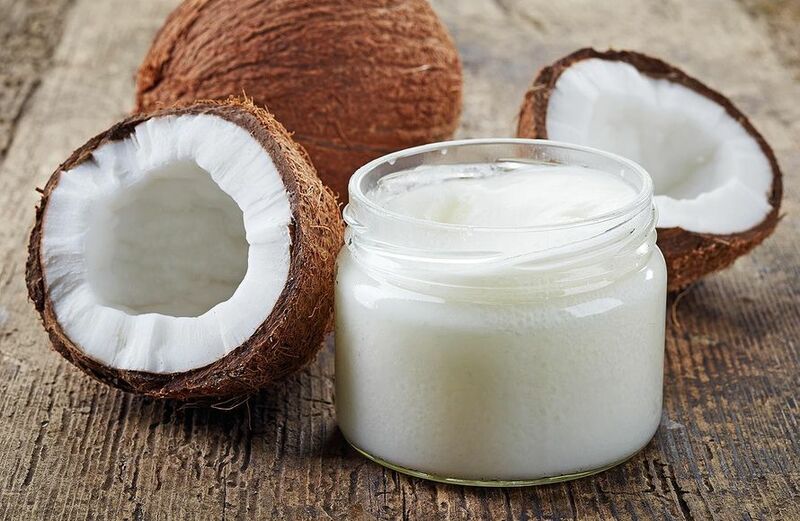 Another simple, but great recommendation on how to get rid of dry skin is coconut oil that can provide a large amount of moisture to the skin. 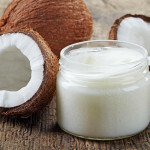 In addition, coconut oil can be easily absorbed into the skin and the skin care can benefit from it. The smell of this natural oil will not let you down as well. It should be applied gently over the dry areas and you can do some massage in these areas. In addition to the positive effects on the digestive system and immune system, yogurt can make it to the top among tips on how to get rid of dry skin. For years, it has been well-known to improve the skin conditions very efficiently. Prepare unsweetened yogurt, organic honey and fresh lemon juice. Mix them well and get it rubbed over the dry skin areas. 15-20 minutes later, use water to wash your skin. While the high content of calcium in milk can improve your height, the fact is that milk provides much moisture to help you get rid of dry skin as soon as possible. All you need to do is to drink milk mixed with a few spoons of almond oil before you hit the sack every night. There are many effective moisturizers from the nature, so why do you have to waste money on chemical ones advertised on the market? Like coconut oil, sesame oil is another suggestion on how to get rid of dry skin that needs to be mentioned. Some drops of sesame oil ought to be rubbed over your skin after you take a bath. No matter which parts of your body suffer from dry skin, honey is one of the greatest and most natural tips on how to get rid of dry skin. 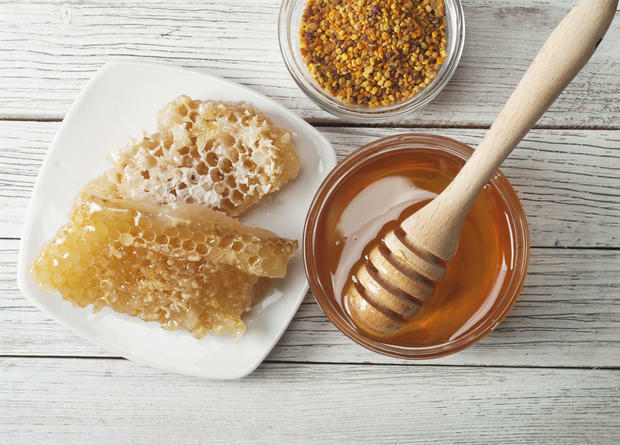 You had better apply organic honey on dry skin areas for approximately 10 minutes before taking a bath every day. The daily consumption of banana is believed to have many great effects on your health. And if you use it directly on the skin, the outcomes will surprise you as banana is one of the best tips on how to get rid of dry skin. Get a ripe banana mashed and rubbed on your skin. Half an hour later, warm water is used to wash the skin. Containing a lot of vitamins and essential nutrients, avocado can give you a quick relief on how to get rid of dry skin. It is interesting to know that avocado can be combined with some other natural fruits, such as banana or papaya, to maximize the benefits. Get an avocado and banana mashed and mixed together. The paste should be applied on the skin. 15 minutes later, use water to wash your skin. Known as a rich source of omega 3 and 6, which can soften and smoothe your skin effectively, flaxseed is the next recommendation on how to get rid of dry skin. Even in case your skin is not dry, you can make use of flaxseeds to prevent the problem from disturbing your life after that. When it comes to natural home remedies to get rid of dry skin, it would be a flaw if papaya is not mentioned. Not only does papaya help deal with dry skin, but it is also super benecifial for blurring scars or bruises on your skin. You can use it alone as a mask, or combine it with avocado as mentioned above.